We just went overseas for the first time as a family. 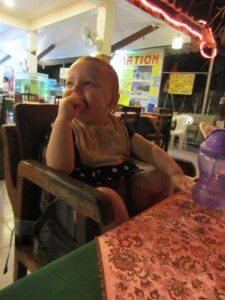 We spent 6 nights in Phuket, Thailand and 2 nights in Penang, Malaysia with our 17 month old. It was great! I was quite nervous beforehand. 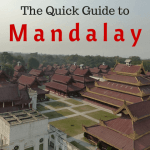 I worried that it wouldn’t go well, and that we would come out of it thinking that travel was over until our kids were much older. There was a bit of a learning curve and some new challenges, but, overall, it went well. There were times when I wondered just how selfish we were being carting S so far from home when she clearly didn’t enjoy the flying days at all, but she did seem to love the actual being away, and we catered to her needs and wants as much as possible. Pay for a seat, even if they are technically allowed to sit on your lap. If you can’t do this, then make sure you ask for a spare seat at check in as soon as you get to the desk. Try to travel as lightly as possible on the plane. All our hand luggage was annoying, although we probably were stuck with most of it. We found toys to be a waste of space in our hand luggage. She didn’t play with any of them! On the way home, we only brought her doll on board. She preferred an empty water bottle or anything we were touching. Milk wise, we were able to take little long life cartons of milk on board at both Melbourne and Singapore. The first guy who saw them at Melbourne said no, but a little bit of “discussion” changed his mind. In KL, I didn’t even take them out of my bag at the security checkpoint, and no one said anything. Board the plane as late as possible. 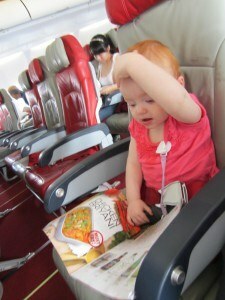 S was the most frustrated before the plane took off. If you are one of the last, you can also tell if there are any spare seats around you and take them before anyone else does! I hate to think how painful our flights would have been if we hadn’t scored ourselves extra seats on the long hauls. 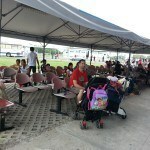 If you are flying Air Asia, pay for seat allocations as they can (and often do) split up families otherwise. This happened to us. Talk to them ahead of time about a cot. Also, probably a good idea to ask for a decent sized cot if you have a one year old plus with you and a mattress!! 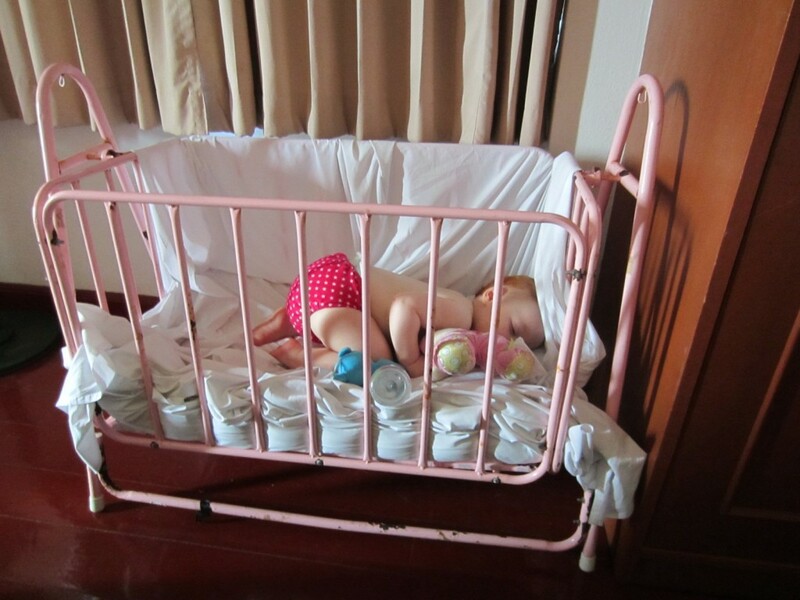 Yes, we were given a cot without a mattress. We also asked for rooms which were easily accessible which was catered to. Carrying S up four flights of stairs or the huge distances involved at the resort we stayed at in Kata would have been tough. Barely required. Apart from her doll, S hasn’t been interested in any of them. There is plenty around to capture her interest, and toys just haven’t been as necessary as they are at home. We brought a seat insert thinga (not sure what it’s called! ), that we can attach to any seat that keeps S restrained. This is small, light, cost us $12 and is easy to travel with everywhere. 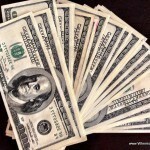 We have found it invaluable and it is probably the best thing we have taken with us. It has been especially good in Thailand as everywhere has had high chairs but they are literally small, high chairs with no restraints. In Malaysia, we didn’t even find high chairs but it was still useful to attach to normal chairs. We have found the food great for S. She is happy eating anything, and it is easy to get rice and a plate of stir fried vegies which is nice and healthy for her. There are lots of other good options for her and things like sandwiches abound. It is also cheap to just order her a dish for herself. It is very hard to fault Phuket for families. There are great family areas, and the people are just so friendly and accommodating of children. S was the center of attention everywhere in a lovely way. Meal times in particular were made a lot easier by the fact that the restaurant staff would want to entertain her. Kata was our favourite area to stay as a family. There are lots of families in this area, beach is great, and it is a good size area with enough shops and restaurants in a small space while still being reasonably low key and quiet. We had no problems in Georgetown, Penang either. A big question on trips such as this is whether to take a pram. We didn’t, and we are glad. We saw lots of other families with them so obviously people make them work and Phuket wasn’t such a bad destination for them, but it would still be tricky to navigate them around the place. There isn’t always a footpath and what exists is often taken up with people and things. We brought our ergo carrier with us and that did the trick beautifully. 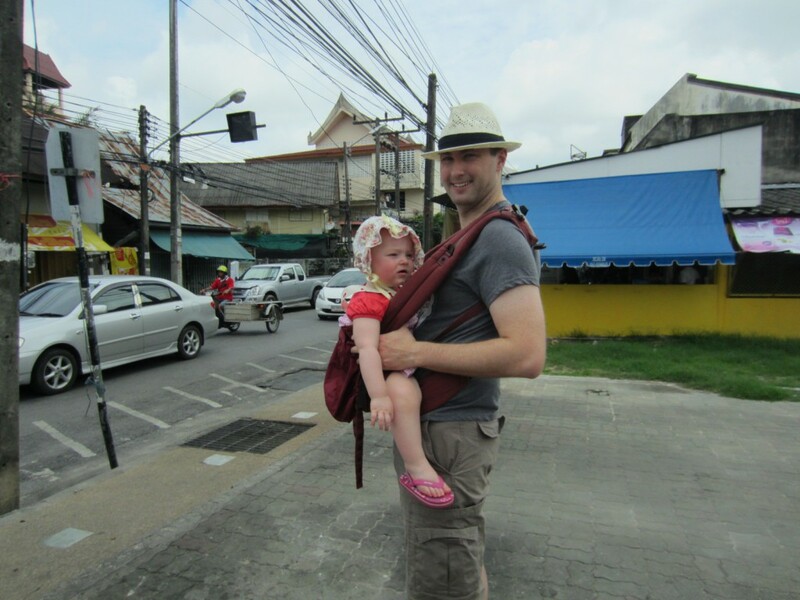 A pram wouldn’t have worked in Georgetown, Penang. When in transport, we just held S. In cars, we used the across waist seat belt in the middle while holding her if the option was there, and in tuk tuks, Josh kept her attached with the carrier. Perhaps not that safe, but it was the best we could do, and we didn’t have any problems. Getting S in a good sleep routine was the most important thing. She doesn’t sleep in prams or anywhere but a cot so this was invaluable to us. She usually has one nap at home, but we were able to make it two while away which was great as it meant she was up later at night. Night time is my favourite time of day in these areas as the temp is great and the places come alive, so it was good to be able to enjoy this out as a family. Definitely! With just her anyway. With another baby on the way, it is hard to imagine we will be doing it anytime soon. It was easy enough to cope with just one, but with two little ones it would be really difficult, and in my opinion, not worth it (at least not while they are both super young). 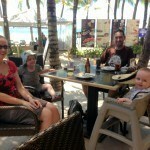 Travelling with two adults and one baby/toddler, means that we each got to have breaks. That would be difficult with two. It would also mean a lot of luggage to cart around as well. It would also be difficult to work around two lots of nap times. As sad as I am to say it, I think we will be hanging around Australia for the next couple of years.